Rangers are warriors of the wilderness and learn to focus their combat training on techniques specific to their favored foes. They draw power and energy from nature, harnessing their familiarity with the wilds to hone their skills. They tend to be independent, rugged and highly focused on a singular goal. Stopping at nothing to succeed, they are often the last line of defense against a threat. 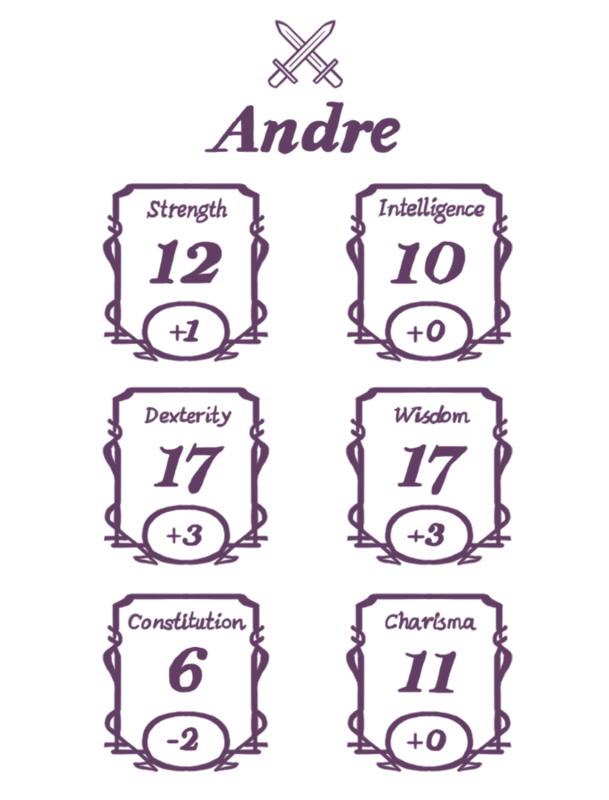 Dexterity & Wisdom– quick-witted and savvy, Andre can maneuver through any challenge with ease. Favored Enemy– he has significant experience studying, tracking, hunting and even talking to a certain type of enemy. Andre knows his outdoor and athletic brands. Strength and Dexterity– in a bind, Andre's strength, stamina, and agility come through to carry the team home. Like the Ranger, Andre stealthily navigates the woods of design and strategy. He is a focused and experienced designer. When faced with a challenge, he approaches the situation with curiosity and confidence, sizing up and deciding how to best attack a problem. He can take on any design challenge, but truly excels in his favorite subjects: identity systems, packaging, poster design and illustration in his favorite industries—athletic and outdoor brands. Andre stops at nothing to find a solution, and has endless stamina when it comes to doggedly pinning down the right answers, no matter how long it takes. 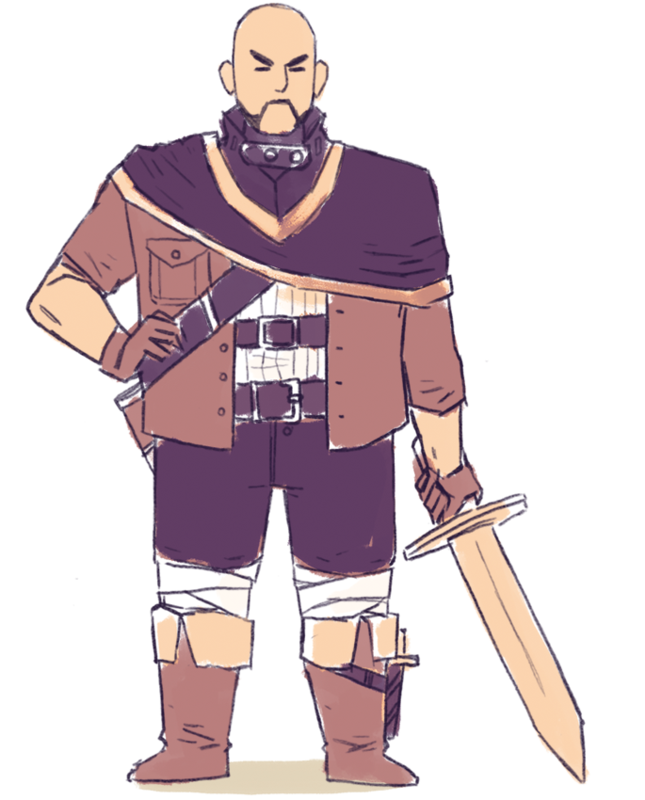 He can be intimidating but, much like the elusive ranger, is generous with his wealth of humor and knowledge once you get to know him. Andre keeps it on the DL, but he has designed some rad posters for Sasquatch music festival.